Demonstrators with NYC Rolling Rebellion advocate for net neutrality (undated photo). Photo courtesy of Backbone Campaign/Flickr. That someone would be me. I worked for Vodafone, the British telecom giant that serves Asia, Africa, Europe and Oceania, while living in both London and The Hague. I went on to work with young technology companies, then at the U.S. State Department, and eventually to teach at UCLA Anderson School of Management. At the State Department, I held a role as U.S. ambassador negotiating the 2012 telecom and internet treaty called the World Conference on International Telecommunications. Those negotiations sought to prevent nations from monitoring and censoring internet traffic, which is antithetical to U.S. political and economic beliefs. And yes, I’m sensitive to the needs of broadband network providers. Such networks should receive sufficient revenues to ensure an adequate return on their significant capital investments. One lesson connects all my various work and travel: A free and open internet is core to the future of our societies. Service providers have an abiding interest in this as well. After all, their networks have value because they can carry our fundamental traffic—guaranteeing individual access to the internet, voice and video communications, social networks, e-commerce, and access to crucial research—in an unfettered and unrestricted manner. Here there is no room for financial arrangements that would allow telecom operators to make solely financial decisions over which traffic is prioritized over a network and which isn’t. “Net neutrality” is the principle under which internet service providers would enable access to all content and applications regardless of their sources, without favoring or blocking any particular traffic, products, or sites. The principle to me is defining. Future innovation and economic growth comes from the individual rights we enjoy. 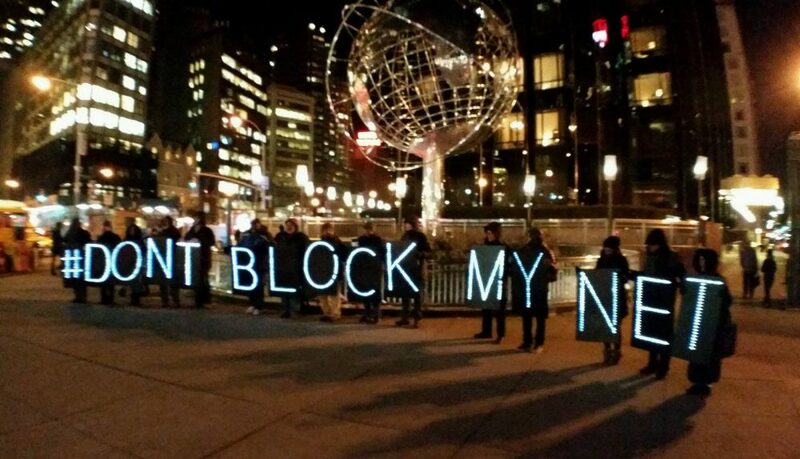 Net neutrality helps protect those rights on the internet, and with good reason. Technology and ubiquitous high-speed networks can have such an impact on citizens, consumers, enterprises, and, more broadly, society that they must be defended. I have seen the consequences of philosophies and policies that lead to censorship, metering of traffic, and attacks on the free and open internet we enjoy today. During the WCIT treaty negotiations, nondemocratic nations sought to win legitimacy for their efforts to monitor internet traffic and block spam. While spam in the United States might represent unnecessary commercial content, in these countries spam could express political dissent. “Net neutrality” is the principle under which internet service providers would enable access to all content and applications regardless of their sources, without favoring or blocking any particular traffic, products, or sites. I also saw nations in emerging markets that, in lieu of creating competitive broadband providers with private investment, sought to impose fees for any internet traffic that ended on their networks. This model only promised a limitation of internet traffic flows, as many organizations wouldn’t want to pay the fee to have their traffic transported, including small entrepreneurial or nonprofit organizations. All of this would cripple economic growth and internet access to vital content and commerce in nations that need it most. Of all my different jobs, my role at the State Department, heading the U.S. Delegation for the WCIT, allowed me to meet with the broadest array of international industry and government officials. Despite the many fundamental political and economic differences I encountered, I was struck by the number of my counterparts who asked me about the special success of the United States: its overall level of prosperity, adoption of technology, individual rights, and vibrant entrepreneurial spirit. What, they would ask, enabled this success? My answer was our immense privilege. Americans have been privileged to live in a system where entrepreneurship is encouraged and rewarded, where both failures and successes are valued, and where individual rights and varying perspectives are not just tolerated, but encouraged in the quest for getting the “right answer” and stimulating engagement, whether in the community, new ventures, or society at large. That system explains why we’ve led in technological advances—most recently in areas such as artificial intelligence and the Internet of things, which promise to yield amazing conveniences as well as new insights and solutions. Our system is why we have made progress in understanding the causes, predispositions, and effective treatments of life-altering diseases. And it’s why we’re quick to adopt autonomous vehicles that can reduce the number of traffic injuries and fatalities, lessen the impact on climate change, and create a major “gift of time” in congested cities, freeing up individuals to connect, be entertained, transact, or do whatever they please. But none of these advances is possible without a free and open internet, where the flow of traffic—be it university research, social media, connecting people, on-demand entertainment, and knowledge—is protected. In 2015, the United States had a breakthrough in adopting net neutrality as an official policy. It’s been concerning to see efforts by the current FCC, which seek to undermine that seminal 2015 decision. Those opposing net neutrality often cite the need to protect future pricing models and revenue streams for telecom networks. But such protection is not worth the worrisome precedent and unintended consequences that would be triggered by the abolition of net neutrality. I fear those consequences would fall on telecom itself. In the absence of net neutrality, internet traffic could be easily throttled or blocked. We could live in a world where only those organizations with the greatest resources could afford to have their traffic sent in a seamless manner. And in a broadband environment with limited resources, what would happen to nonprofit organizations and universities that seek to send their content free and unfettered? I fear we would be creating an environment similar to the costly mobile phone one. In that economic ecosphere, it’s expensive to call a mobile user overseas, where callers often encounter costly “termination fees.” Such rules have restricted the flow of mobile phone calls internationally and encouraged “over-the top” calling solutions, which undermine telecom revenues. The end of net neutrality would likely stifle the flow of information globally. It’s hard to see how stifling information flows would be good for anyone, much less the telecommunication companies for which I used to work. A free and open internet is a rare development that benefits citizens, consumers, enterprises, and societies. Very few other offerings can make such a claim. Telecom operators have and should exploit numerous growth opportunities to meet consumers’ insatiable demand for mobility, tapping new bundling prospects with video and content. Pursuing new revenue sources by invalidating net neutrality would lead to a potentially dangerous scenario for everyone, where free and open access to the internet is curtailed, traffic is limited, and everyone is hurt. Terry Kramer is a former Vodafone executive who now teaches at the UCLA Anderson School of Management.